Dr. Peter N. Madras received his MD from McGill University and enjoyed a 30 year career as a transplant and vascular surgeon and associate professor of surgery at Harvard Medical School before joining the staff of Lahey Hospital 12 years ago. Before becoming a surgeon, Dr. Madras was the Medical Program director at the Avco Everett Laboratory which produced the Intra-Aortic Balloon pump, the first temporarily implantable cardiac assist device which is still in use for treatment of heart failure. During his surgical career Dr. Madras consulted to a number of device companies and was Medical Director at Grace Biomedical working on biohybrid artificial organs. Upon retiring from the active practice of surgery Dr. Madras founded two companies; the Medical Record Bank, Inc. and Asentral IRB, Inc. He was also principal investigator on a number of NIH SBIR grants devoted to the goal of advancing surgery without blood loss. He was appointed by the State Governor to serve on the Massachusetts Board of Registration in Medicine for 6 years, chairing that group for 2 years and followed that with service for two terms (six years) on the National Board of Medical Examiners. He was tasked by Harvard Medical International to assemble and lead a team to write the Regulations for the Practice of Medicine for the Dubai Healthcare City. Currently, Dr. Madras is part of the core Faculty at the Sloan School of Business of MIT and serves on the boards of a number of young or start-up companies. Dr. Madras has been a member of MDG for 4 years and became President of MDG 18 months ago. During his presidency MDG has assembled an illustrious Advisory Board. In addition, MDG has developed a mentoring program and a job board and has seen attendance at its monthly Forums double. Peter Fuchs has served as Treasurer for the past four years and has been an active member of MDG for five years during a period of dynamic change and growth for the organization. He has served as a strong operating partner to three Presidents as well as two separate Board groups helping to manage MDG's continued solid financial position as well as insuring that all compliance obligations with the various tax authorities, insurance companies and other stakeholders are always met in a professional and timely manner. Along with his financial responsibilities, he has recruited panelists from across the country for some of our monthly forums as well as being the co-champion for two events last year, the Internet of Things event held at Foley and Hoag in the spring and the 3D Printing Forum in the fall with 3 panelists from global, publicly traded companies (Stratasys, Conformis and Organova based in San Diego) participating in the event. Mr. Fuchs has held senior global financial positions with Smith & Nephew for nearly eight years where he had among other roles financial oversight of 21 overseas subsidiaries; Conagra; Gateway and Swatch group in Hong Kong where he helped successfully launch the company in China. He began his career with Price Waterhouse here in Boston and is a CPA. Mr. Fuchs has demonstrated expertise in turnarounds, mergers and acquisitions, strategic planning and general management in fast, growing entrepreneurial environments. He graduated from the Phillips Exeter Academy, holds a BS in Economics from Lehigh University and an MBA from the Anderson school at UCLA. Iris is the founder and CEO of TALBOK Consulting, a firm that specializes in helping organizational leaders create a visual management system to facilitate and track progress of new initiatives and align day-to-day decision making with strategic goals. Their projects have been as varied as implementing new educational models at universities, launching clinical trials at a public pharmaceutical company, designing a strategy implementation model for a medical device startup, launching a new product development team at a software company, supporting an emerging hub of drug discovery tool manufacturers, etc. The focus is on using findings from a discipline known as cognitive engineering to make work visible in ways that increase efficiency, effectiveness, and adaptability. 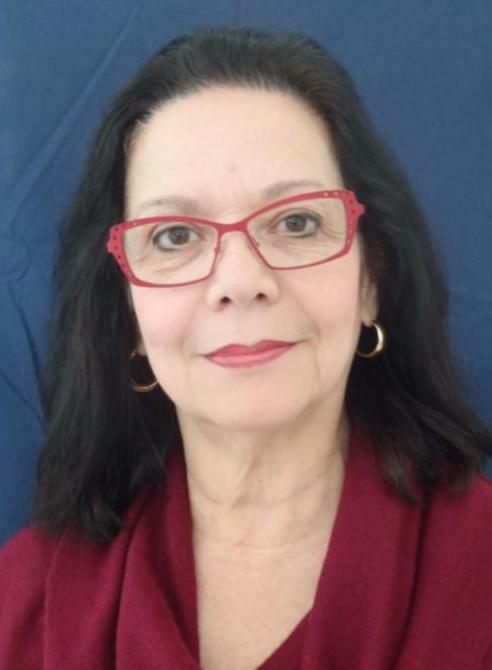 She has degrees from Tufts University (Interdisciplinary Ph.D. & CAGS Human Computer Interaction), Cambridge College (MEd Clinical Psychology), IESA Venezuela (CAGS Business Administration), Universidad Central de Venezuela (MS Electrical Engineering), and Universidad de Carabobo, Venezuela (BS Electrical Engineering). She is a former PMP/PMI (2009-2013), and currently is a member of various women's professional organizations in the Boston area (HBA Mentor, NEWISE Club, WEST). 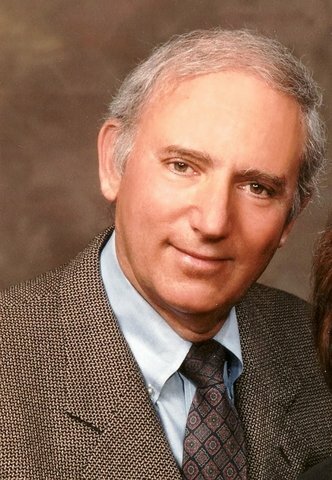 Dr. Shapiro was the first person at Boston University with an earned doctorate in Bioengineering, cofounder of their Department of Biomedical Engineering, Principal Investigator on many NIH grants, Director of two laboratories in glaucoma and ocular physiology and held the positions of Research Scientist, and Associate Professor of Surgery, Medicine, Ophthalmology and Biomedical Engineering. He was Ophthalmology Program Manager, Director of Engineering, Director of Operations, Chief Operating Officer, CEO, and President of medical device companies. Through MIT, he mentors medical device companies in Portugal, helping them turn ideas into products and companies. Jerry is co-inventor of an effective treatment for a debilitating medical condition affecting about 500 million women worldwide and leader of the startup medical device company bringing it to market. Jerry Shapiro has 47 years of experience in the medical device industry, 14 years as an MDG member, 5 years previously on the MDG Board of Directors and for 2 years was MDG Secretary. Twice he has helped write the five year plan for MDG's future, and stayed to make that future a reality. MDG needs leaders with his formal education in biomedical engineering and long term MDG commitment to guide it. His MDG contributions include Program Committee Co-chair, Board of Directors, Board link to Alliances Committee, Secretary, co-champion of Forum programs in Women's Health, Ophthalmology, Economics of a Medical Device Sale, Medical Needs: From the Physician's View, Voice of the Customer, Integrative Medicine and one who mentors and helps, pro bono, those in transition and those new to the medical device industry find jobs. As an MDG leader Jerry has the opportunity to work with an amazing group of talented and caring medical device professionals to enhance the professional development of MDG members, foster and support entrepreneurial thinking, explore new business opportunities, and promote best practices in enterprise management. Paul is a long time life sciences executive with a proven track record in launching successful startup businesses and leading Fortune 500 organizations. He raised Angel and VC funding for Cognoptix, to develop an innovative eye scan for early detection of Alzheimer's disease, leading the company from concept through clinical trials, with outstanding Phase 2 results. He has extensive experience in the laser and medical device industries, including managing manufacturing for Summit Technology, Inc., a leading developer of the LASIK procedure and other laser eye correction procedures. Prior to Cognoptix, Paul was Vice President of Operations at Winphoria Networks, a successful mobile communications startup acquired by Motorola. He has also held senior management positions at GE, Trumpf and 3Com. He graduated from MIT with an MS Degree in Mechanical Engineering. During his tenure, Paul has worked tirelessly to grow and diversify the membership of MDG. The Entrepreneurship Forum he co-championed had record attendance, and included 20 exhibitors. He has attracted a number of sponsors to the organization and initiated a collaborative event with MassBIO. He has spearheaded a number of initiatives to improve member benefits, including the new Member Services Directory. In addition to his work at MDG, Paul mentors entrepreneurs at MIT Venture Mentoring Service, Mass BioTech Council's MassCONNECT, TechSandbox and The Capital Network. He also serves on the Board of Directors of SemiNex, and the Business Advisory Boards of Metria Innovations and Techubator. Lisa is President/Certified Executive Coach at Medical Development Partners, Inc. (2005-present), empowering Medical Device Professionals to achieve their goals, honor their values and live in balance. Past Co-Founder, CEO/President of Radi Medical Systems, Inc. (1998-2004) Lisa took a disruptive technology, changed physician's practice, obtained reimbursement, developed education based marketing strategies, a clinical sales force, and grew the company from inception to $28M with profitability during her 6 year tenure. Lisa was recognized and ranked #28 out of 100 Women Led Businesses in Massachusetts in 2004. Prior to that, Lisa held Market Research and Product Management Positions at USCI; $100M Division of CR Bard (1994-1998). Lisa is also a motivational speaker. Lisa received a BBA in marketing and BA in economics from the University of Massachusetts at Amherst and an MBA in Management from Bentley University. Certified Professional Career Coach (CPCC) through the The Coaches Training Institute & Associate Certified Coach (ACC) through the International Coach Foundation. Past MDG President (during Lisa's term, membership went from < 200 to 454 MDG members). Vice President under the 1st President, Marty Sklar. More than 10 years on the MDG Board. During her Board tenure Lisa worked as liaison to Sponsorship assisting with annual Sponsorship breakfasts/meetings for numerous years. Past Nominating Committee member. Current Mentoring Committee member. Co-Program Chair with Jerry Shapiro during MDG's 1st years. Moderator and Speaker at numerous MDG Forums and Networking events including Moderating-Combination Devices, Speaker-Networking without a Net and other programs. For the past 10 years, Lisa has been responsible for championing, moderating, speaking, marketing and selecting speakers for MDG's only annual Program, "Transitioning into and within the Medical Device Industry". This program has brought in many new people to MDG. Christina is the GM for Cardiology IT at GE Healthcare Digital. In that role, she is responsible for managing and leading strategy, product development, commercialization activities for the Cardiology IT business, including enterprise imaging, workflow, and administrative IT solutions. Christina brings more than 25 years of clinical experience and med-tech product development. She began her career working as a Clinical Engineer for 10 years at two of Boston's teaching hospitals, Brigham and Women's and New England Medical Center. She then joined Draeger Medical, where she spent 15 years in Patient Monitoring Systems. At Draeger Medical, Christina held various roles including more than five years as the VP of R&D. She is active in the Boston med-tech community including the Medical Development Group and the University of Massachusetts Amherst Institute for Applied Life Sciences. Christina holds a B.S. in Biomedical Engineering from Boston University and a M.S. in Management from Lesley University. 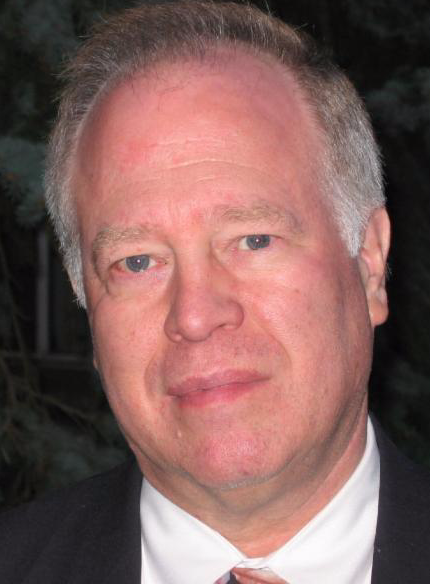 Hank Allard has worked in senior sales and marketing positions in the technology sector for more than 30 years with companies including GE, DEC, Wang and Intel. Hank also ran a consulting business for 8 years and was involved in starting (3) new businesses in the Boston area with one of these businesses being acquired by Cisco. Hank currently runs a manufacturing representative firm (Edge Rep Solutions) with a focus on medical devices. He is also is a business broker with Marshall Associates. Hank combines sales, business development and product marketing experience and knowledge to benefit both clients and non-profit organizations. In addition to MDG, Hank is a member of ERA (Electronic Representative Association) and NEBBA (New England Business Brokers Association). Hank has been an active member of MDG for more than six years. He was chairman of MDG Forums in 2011 and Chairman of MDG Program Central in 2012. Hank has been co-champion for (8) events over the past 4 years and has been particularly active in organizing MDG marketing and special events including a Combination Products Seminar in 2012, two FDA seminars and a "Medical Applications for the Internet of Things" seminar. Hank is a member of the MDG Networking and Sponsorship Committees and has been instrumental in recruiting a number of new sponsors for MDG. He also worked on the planning and proposal to establish the MDG Advisory Board. Dr. Combs has been intimately involved with medical product development for over 40 years - as a physician investigator and end-user, as an executive responsible for R&D for a Fortune 500 company, and as a serial entrepreneur in the medical device space. He believes that the process of medical product development can be improved though collaboration among clinicians, scientist/engineers and business people. His thesis is: meet an unmet clinical need with an elegant technological solution that leads to a practical and cogent business model. As a clinician he was often approached by salespeople wanting him to buy their product. But the same people and companies had not asked him beforehand about the needs of his patients and colleagues. Instead he had to use what was available, not what he would choose or design if the view from the bedside had been appreciated or considered. Equally often, products are developed to address a "market opportunity" rather than a clinical problem. Companies can be business driven, molding the technology to putatively address the market, rather than the customer. And there are times when scientist-inventors underestimate the business considerations of bringing a product to market.